There are plenty of architecture firms in Australia that are well prepared to design the architectural plans that better fit your needs. Apart from the chief architect and his team, there are specialized professionals offering architectural engineering, architectural microservices or interior architects, for example. At Infoisinfo we always work hard to be able to offer you the most useful information possible so you can easily find the best products and services for you and your company in Australia. 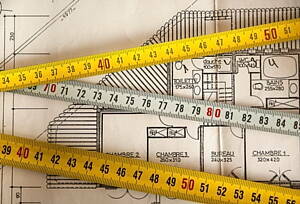 We want you to obtain the best results possible for your new home, whatever architectural styles you are interested in. Therefore, we have prepared a list of the best architectural services in Australia for you to choose from. Po Box 4131, Robina. Gold Coast. QLD, 4226. 75 Elphinstone St, Rockhampton. Rockhampton. QLD, 4700. Suite 4, 2 New Mclean St, Edgecliff. Woollahra. NSW, 2027. Eclipse Building, Level 3, 30 Alfred St, North Sydney. North Sydney. NSW, 2060.